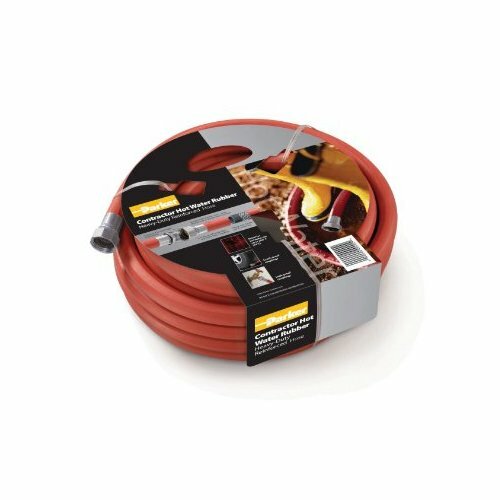 Parker HWR3450 HWR Premium Hot Water Hose Assembly, Red, 3/4" ID x 50' Length, 125 PSI. This hose is made using heavy-duty double spiral reinforcement (Rated 125psi, Burst 500psi). Durable 100% rubber cover that stays flexible even in temperature extremes (-40ºF to +212ºF). Crush-proof heavy-duty nick-plated brass couplings. O-ring seal for water tight connections.